Ultimately, what this all boils down to is whether the economy is entering a recession, and - some reflexively - whether the suddenly dovish Fed, trapped by the market, has started a chain of events that inevitably ends with a recession. 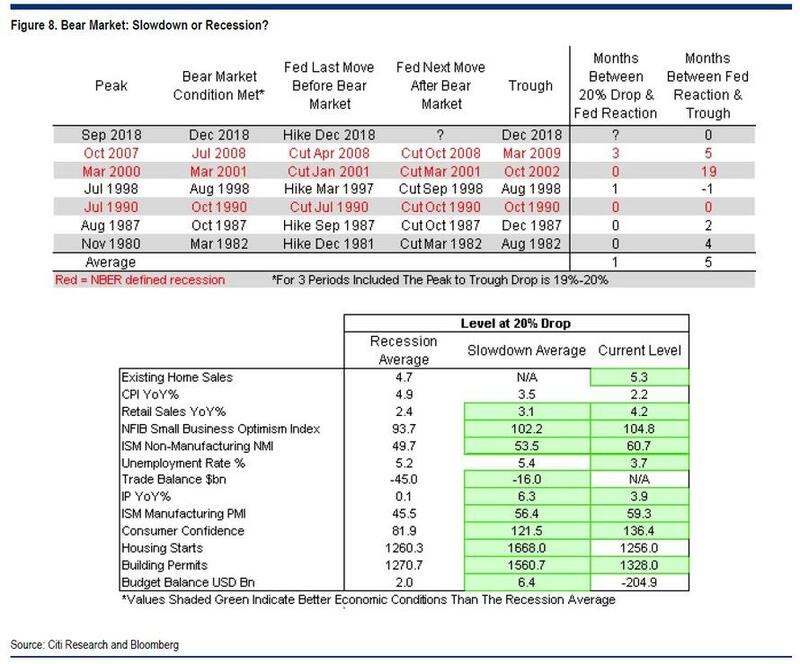 The historical record is ambivalent: as Bloomberg notes, similar to 1998 and 1987, the S&P fell into a bear market last month (from which it immediately rebounded) following a Fed rate hike. 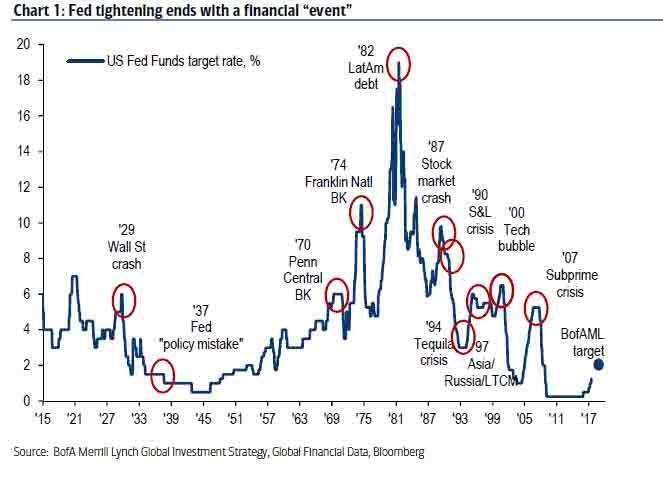 The difference is that in the previous two periods, the Fed cut rates in response to market crises - the collapse of Long-Term Capital Management in 1998 and the Black Monday stock crash in 1987 - without the economy slipping into a recession. In comparison, the meltdown in December occurred without a similar market event.